S.H.C. 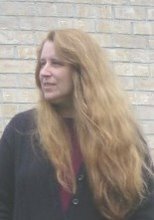 I’m a cross-over author from the Science Fiction and Fantasy Writers of America and when I’m not being paranormal and writing sizzling love scenes, I edit for a science fiction and fantasy magazine (not a romance venue). I have been married for 31 years, have two grown daughters, and am currently questing for a cat. My collection of dragons keeps getting bigger. I still have no talent with plants no matter how hard I try, and I’m wild about paranormal romance. It’s the greatest fun. S.H.C. I love to write in my pajamas. I think it’s because it keeps me in that half sleep, half awake world. S.H.C. I was eight when I started writing stories about squirrels. When I was 12, I wrote a spy novel that was passed around covertly throughout my class in school. I’ve always wanted to write novels. It was how to write it that was a question for me. S.H.C. I write in paranormal romance which is wonderful as by RWA definitions it encompasses science fiction romance and fantasy romance as well as stories about supernaturals. S.H.C. My favorite author also became my first editor—Marion Zimmer Bradley. When I read THE MISTS OF AVALON and THE FIREBRAND, I felt transported. That’s my goal for my readers to be transported and to have fun. When I switched over to paranormal romance, the world opened up to me in how to express my characters and their lives. I love the utter freedom and abandon of it. S.H.C. My husband is very supportive. He’s a very romantic guy and very inspiring. My daughters grew up with mom being a writer and going to science fiction conventions. When I expanded into paranormal romance, they were all for it. S.H.C. 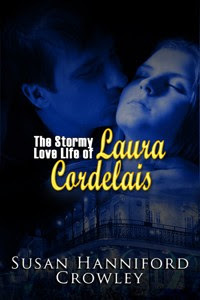 I had written three full length manuscripts before the fourth which became THE STORMY LOVE LIFE OF LAURA CORDELAIS. When I switched into paranormal romance, I joined RWA and a local chapter. The education with the romance authors was just enormous. After almost 25 years, I joined them and their workshops are so good, I got a better handle on the different parts of writing. They are crystal clear in their suggestions and examples and how to write. If you get a chance to get to a writer’s conference given by a RWA chapter, sign up immediately. Their education is priceless. S.H.C. Dreams. I dreamt about Laura and David for months before writing the book. I actually didn’t want to at first as I was working on something else. But the characters were persistent. The blood oozed into her mouth, as he pressed his arm against her lips. At first, she choked and sputtered but then finally accepted it. Laura tried not to think about what it really was. The warmth reminded her of ginger tea with a citrus tang. After a few more minutes, she pushed him away. The wound on his arm healed before her eyes. Wide-eyed, she smiled. “I feel so strong and well. I don’t ache or hurt anywhere.” Then his reference to being her sire struck her. “So you own me now!” Her anger flared again along with her strength. She slapped him. “What was that for?” He held his hand to his cheek. He held her hand to his cheek and closed his eyes. Her mouth was so close to his, she could almost taste him. Then he pressed his firm lips against hers. Hmm. He tastes of honey. I love honey. Their fangs knocked together. Laura giggled nervously. “Shall we try that again?” he suggested. David gently took her chin and tilted her head slightly. Then his lips possessed hers again. Laura tingled from head to toe and wondered if a vampire was capable of love. She hoped David was. When their lips parted, Laura frowned. “Are you furious?” He carefully pushed a hair off her face and kissed her forehead. “No. I want everything between us to be real.” He kissed her left temple and moved down her jaw line. His mouth caressed her lips. His tongue rubbed her fangs. And at Amazon Books as a Kindle and other fine ebook stores. I’m currently waiting for a print release date. My romance blog that I share with friends is http://nightsofpassion.wordpress.com It’s always fun with something new every day and a wealth of writing information. 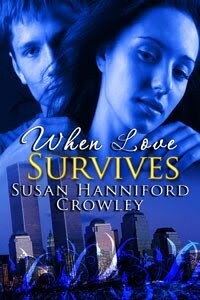 I’m on Twitter as SHCrowley and I’m Susan Hanniford Crowley on Facebook. S.H.C. Get the best possible education on writing you can from writers who sell books. You’ll learn the craft and the business, which is what you need to be published now. Don’t be afraid to go to someone else’s conference, because the craft of writing doesn’t change from genre to genre. Okay, writing hot love scenes may not be your cup of tea, but at a local romance writer’s conference that’s one or two workshops. The rest have titles like writing a great hook (that’s your book’s beginning), creating strong characters, how not to have your plot’s middle sag, etc. I could go on and on with all the workshops that apply to writers across the board. And in my too many years of experience, no one does it better than the romance authors. We have authors from other genres at our conferences all the time. WOW! When all your covers are lined up like that, they look fantastic. Great covers and the excerpt is enough to make me, a nonparanormal reader, go buy the book. Wicked looking covers!=) I like! !